Every month’s adventures bring a new topic, some I cheer and some make me think – ‘Hmmm, this could be interesting’. Cardboard Adventures fell into to ‘Hmmm’ category. I am not a ‘games’ person so completing this quest didn’t seem interesting. Well, this is the beauty of of Quest Scouts – finding interest and new experiences in any topic as you move through the quests. The first quest I finished was a MicroQuest which had you print a word search and leave it in a public place for 24 hours. I received permission from Bookman’s on E Speedway. 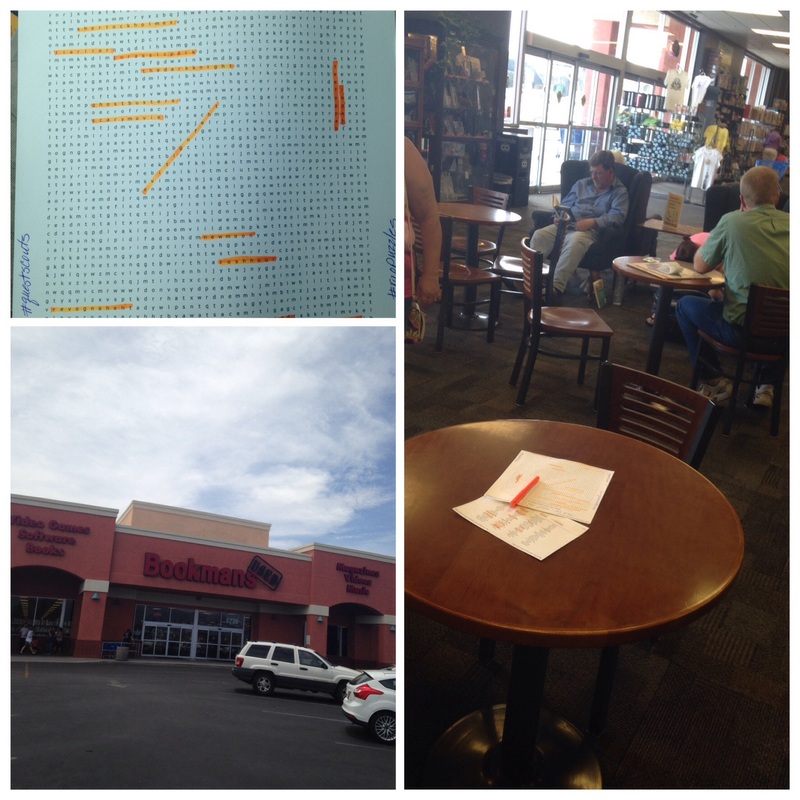 I left the word search, which I had started, in the public seating area and noted on the page to “Join in to Solve”, plus I gave the web address for Quest Scouts. Unfortunately when I returned 24 hours later, it was gone. Good reason to browse Bookman’s. I have to admit I did not realize how active game playing was in our society. I assumed it had moved into the video world. By Visiting Hat’s Games in Tucson and spending time Researching on BoardGameGeek.com I now know that board or non-virtual games are just as popular as ever. For DIY I printed out a fun, simple game titled “Mapple” to play with a friend. Actually, it became a fun afternoon with wine, snacks and some homemade Limoncello. 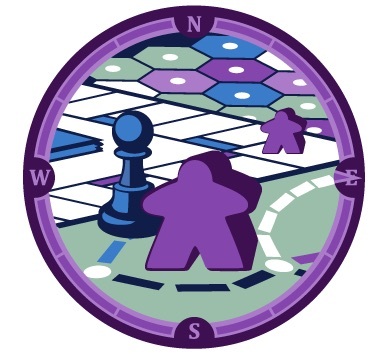 The game involves a ‘map’ with 28 sections and 2 sets of eleven coins. Heads and Tails determine each player, if a lower coin is placed next to the other player’s claimed section (their coin), then your coin is flipped to their side. After a few rounds we started to see the strategy. My friend kept the game sheet to play with her granddaughter. 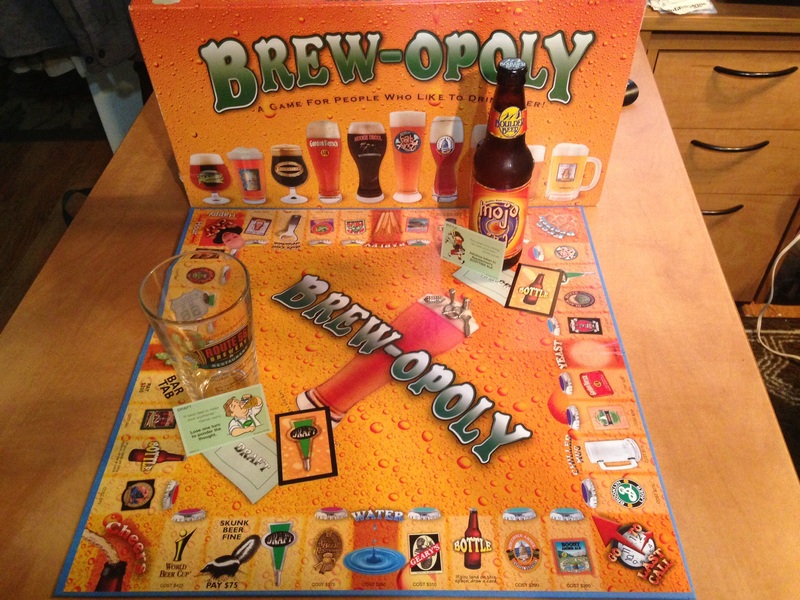 I enjoyed finding a game in our closet, Brewopoly, a gift. I used it for Photography, adding a real pint glass and bottle of beer to highlight their twist on Monopoly. After digging it out and realizing we would not use it, we donated it to a new tap room in our neighborhood – they were delighted. For Art I mixed this Quest with the Prism and Light Quest, my own take on the Parcheesi board. 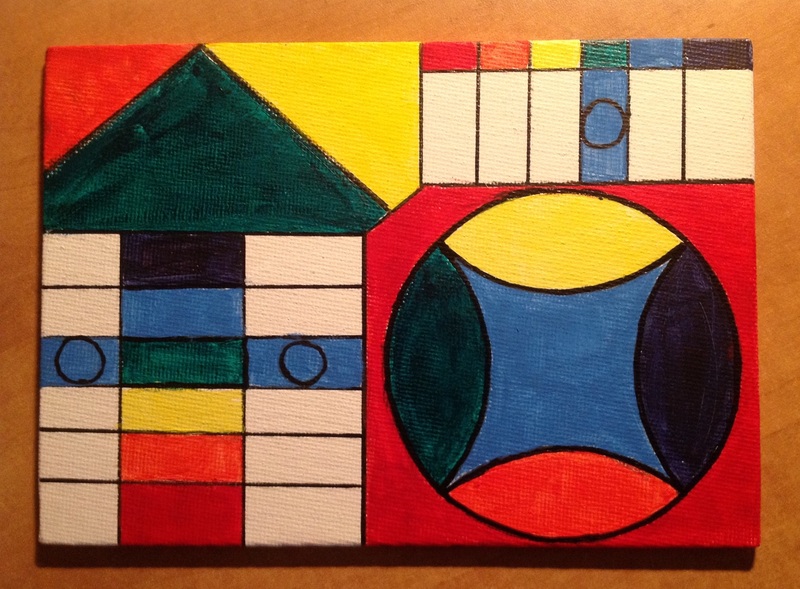 As you can see from the photo it is geometric, using the corner of the Parcheesi board and incorporating prism colors. 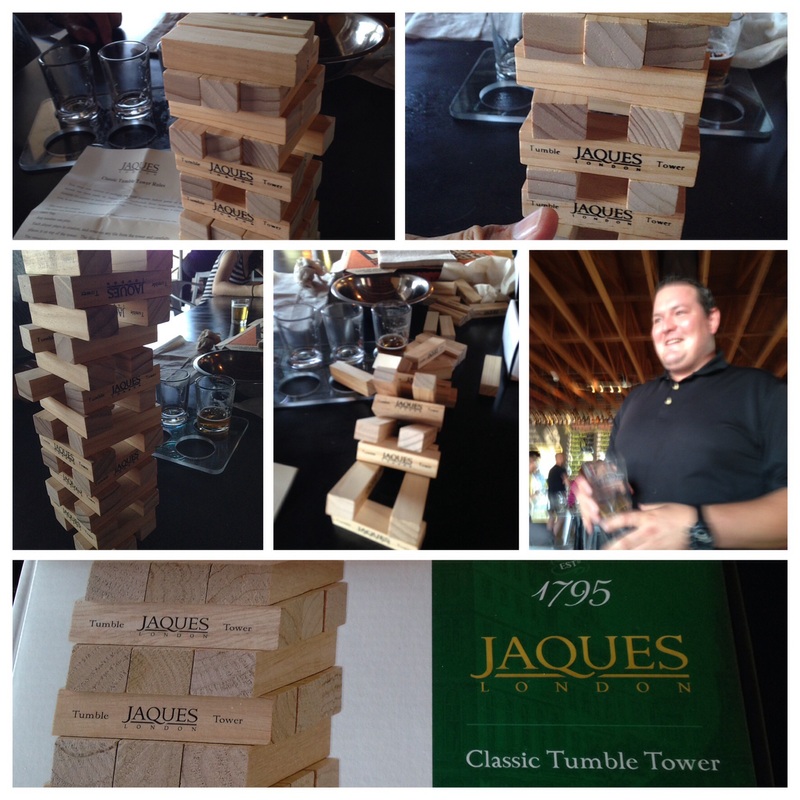 For another MicroQuest I spent some time playing the tower building game, Jaques, with my husband. This game was part of the game rack at the tap room, Arizona Beer House, where I donated the previous game. Just as we were at a critical point an employee stopped by to talk with us. Without touching the table, but using his hands to express himself – the tower came tumbling down. Good for me, not sure I had a next move. Once again Quest Scouts took me outside my ‘box’. 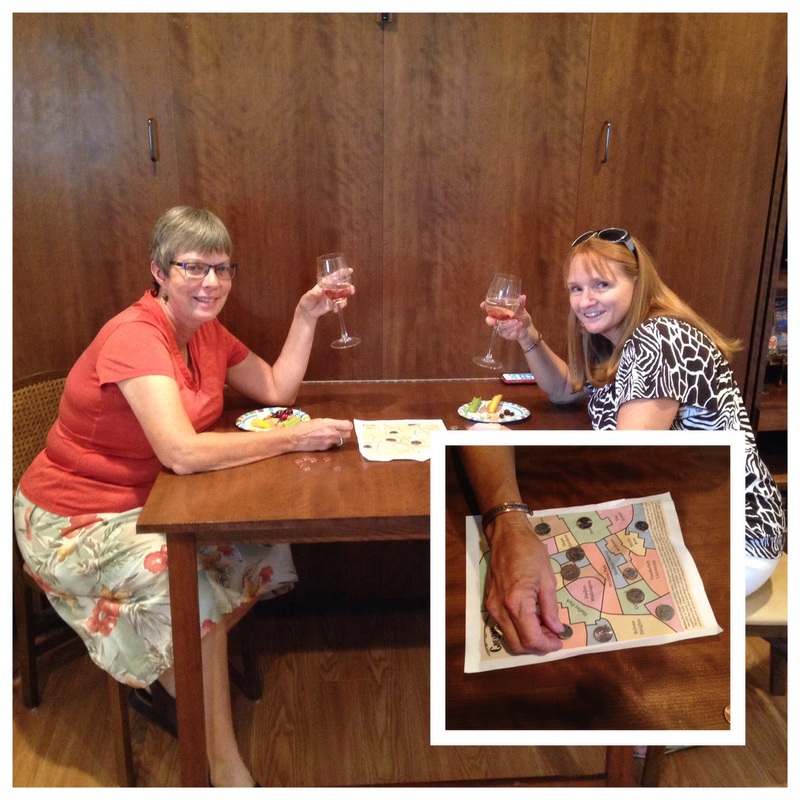 It did not ignite in me a desire to continue playing games, however, in this case some new games were shared with a others; public word search, Mapple with friend and her granddaughter and games donated to public tap room.